Risk, capacity and tolerance. Once understood, these three return to work-related issues can help guide physicians through work ability and work cases for numerous diagnoses and body systems. 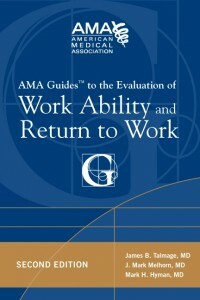 Structured with these themes in mind, this easy-to-read publication includes the latest medical literature reviewed by experts and step-by-step guidance to help negotiate return to work cases.